Jimmy Jerkens is a horse racing lifer. His father, Allen, was also a trainer. LOUISVILLE, Ky. — Jimmy Jerkens prepped himself for this week’s endless carousel ride as best he could. 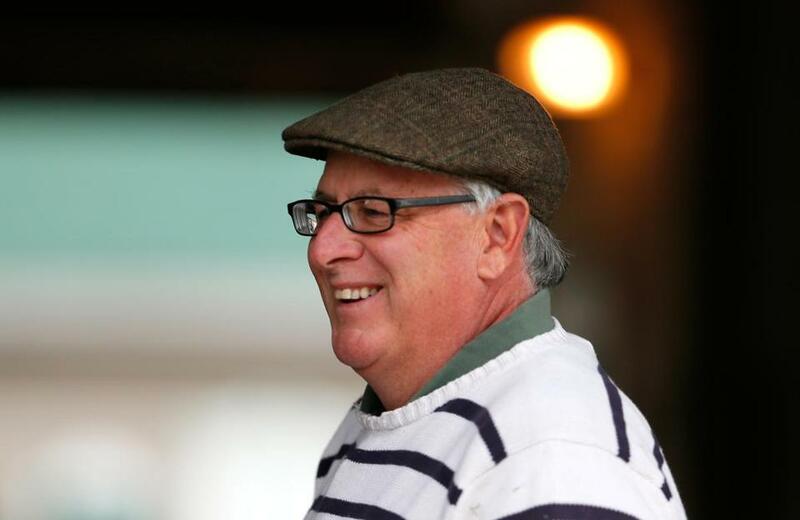 And in Ipswich native Don Little Jr., Jerkens has an owner who appreciates the whimsicality of a sport involving four-legged children who cannot talk. Little’s father, Don, never had a horse in the Kentucky Derby and Jerkens’s father, Allen, the legendary trainer, never had a winner. The 77-year-old Sherman would be the oldest trainer to win the Derby if 5-2 favorite California Chrome is victorious. The elder Little died two years ago from injuries suffered in an equestrian accident. The elder Jerkens, now 85, still can be found around the New York-area stables, but he won’t be here. “His traveling days are over, through necessity,” his son said. Louisville never was Allen’s town and the Derby wasn’t his scene. “He really doesn’t relate to this kind of thing at all,” Jimmy said. Allen, who was the youngest trainer ever to be elected to the Hall of Fame when he was tapped at 45, was known as the ‘Giant Killer’ for his knack of bringing down Goliaths (Secretariat, Kelso, Buckpasser) with Davids (Onion, Beau Purple, Handsome Boy). His son had his dose of misfortune before he even got here. Five years ago, Jerkens had a potential winnah in what he said was the best horse he’d ever had. But Quality Road developed foot problems and was scratched five days before the Derby. 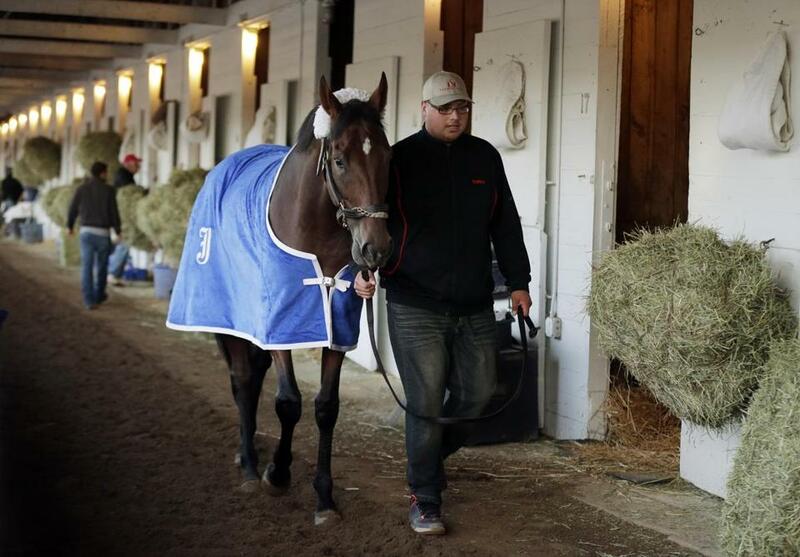 Kentucky Derby entrant Wicked Strong is is owned by Ipswich native Don Little Jr. The only cloud over Wicked Strong’s candidacy is his far-out post position, which Jerkens has tried to convince himself is a benefit. “At least he won’t have anybody from the outside banging him in there,” he said after Wednesday’s draw, which provoked a stream of optimistic go-get-’ems from well-wishers with one notable exception. Yet recent history shows that high-numbered posts pay off. The last three victors — Orb, I’ll Have Another, and Animal Kingdom — all came out of the auxiliary gate. “I felt a little better watching a few re-runs of old Derbies,” Jerkens said. “The one two years ago especially. I couldn’t believe how [I’ll Have Another] got from post 19. It was incredible.” In 2008 Big Brown blew everybody away out of the No. 20. 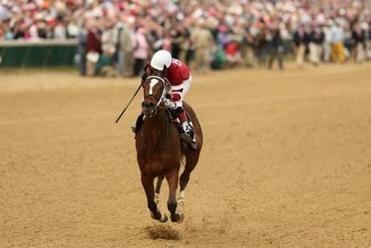 “He just went straight out there and just cleared everybody and he was long gone,” Jerkens remarked. That’s been his approach ever since he helped his father on weekends when he was in high school on Long Island before signing on full time as soon as he graduated and since Allen turned over some spare horses to him in 1997.